Love everything about this card Lori! It is super cute and not over-done. Ribbon has so many other uses than being tied in a bow--I love the way you used it here! Thanks again for including what Copics you used. I have a question. Do you go out and buy the Copics you need for a specific project, or do you buy them in sets? Just wondering what my strategy should be in choosing amongst the huge array of colors when I find them on sale. OMgosh Lorie, your puppy is DARLING!! 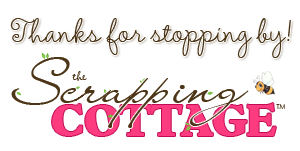 You always do such a beautiful job on the CottageCutz, and love what you did with him, sooooo SWEET!!!!! LOVE your card its perfect for Halloween!!! Hope you are having a wonderful weekend!!! Oh my gosh this is just as sweet as can be. The way you intertwined the border in with the ribbon is superb. This is fabulous.